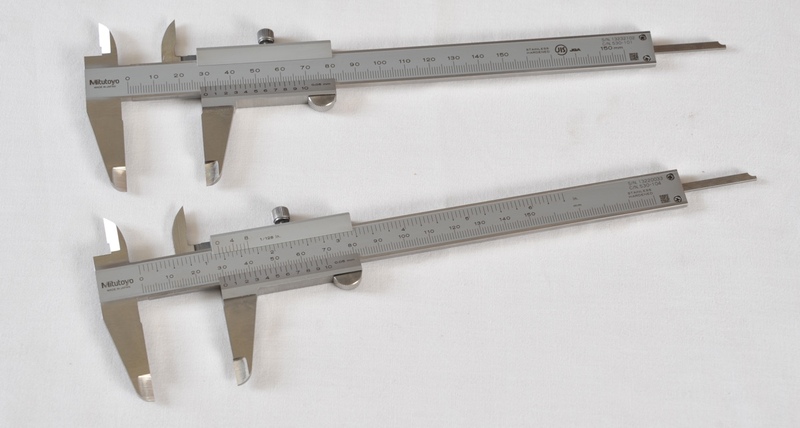 Vesper Tools is pleased to be able to offer these Mitutoyo vernier calipers. 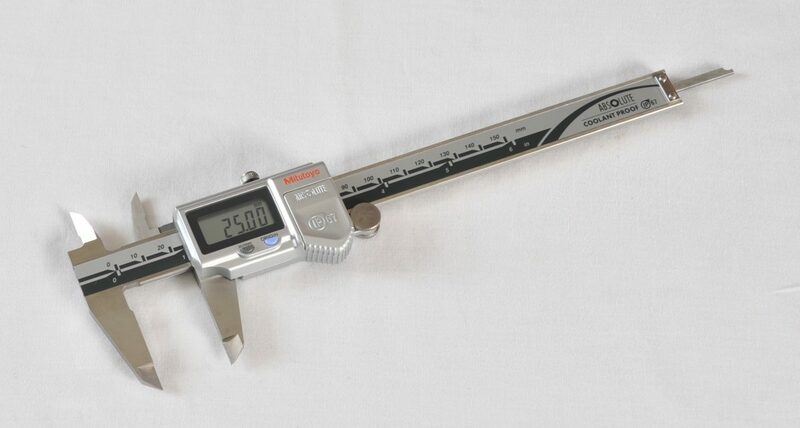 We can access the entire Mitutoyo range if you wish to order specialised measuring equipment but we stock these vernier calipers specially selected for woodworking. - 150mm metric model only. 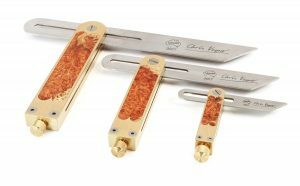 - 150mm metric, and fractional inch scales. - 200mm metric, and decimal inch scale. 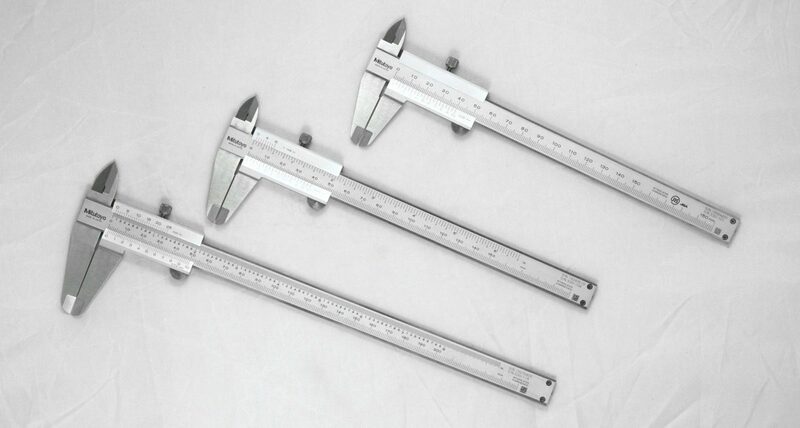 All these verniers measure external between the main jaws, internal between the points opposite, and measure depth OR length of parts in two other places. 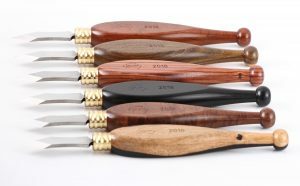 The small depth bar that protrudes from the end of the handle is for depth or length. 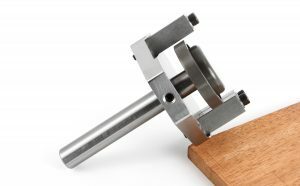 And on the reverse side of the head there is another two ground surfaces for measuring length in say a rebate or step down on a part. 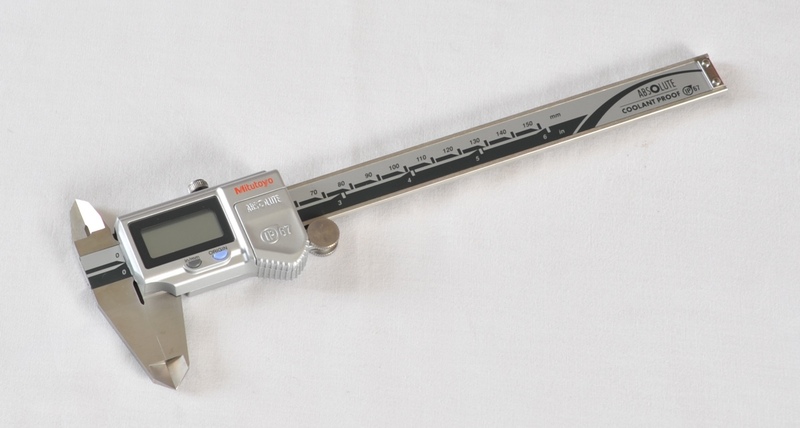 As a general rule when selecting vernier calipers one should not expect to easily read below 0.05mm on the conventional calipers. If you want to measure finer than that on a regular basis then you need the digital verniers with their 0.01mm resolution and accuracy, or use the inch function for 0.0005". These IP67 digital vernier calipers are the best available and are identical to those in use by Chris Vesper in his daily workshop life of precision tool making. Batteries last typically a couple of years. Auto on, auto off. No button pushing required.